In conjunction with the release of iOS 12 and tvOS 12, Apple has updated three of its optional iOS apps, namely GarageBand, Apple Support, and Apple TV Remote. Apple TV Remote has been upgraded to support the screen sizes of two upcoming iPhones, the 6.1-inch iPhone XR and the 6.5-inch iPhone XS Max. The first shipments of the XS Max will hit shelves and doorsteps on Sept. 21, while the XR is coming in October. Also added in Remote is the ability to use AutoFill to enter passwords into Apple TV apps. New in Apple Support is the option to buy AppleCare+ for existing devices, as well as a simplified process for resetting an Apple ID password. 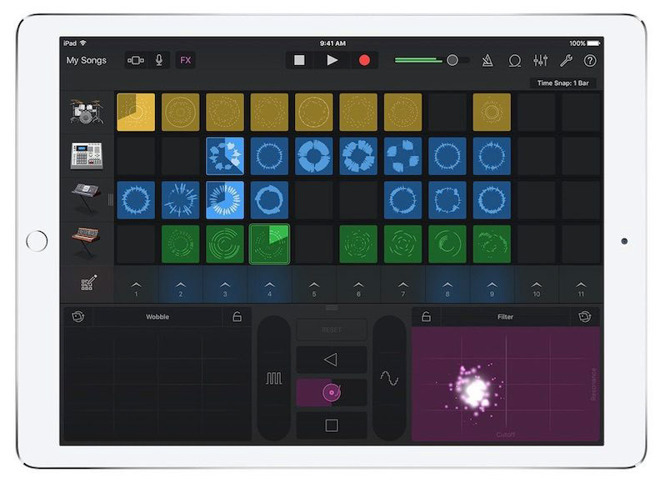 GarageBand has gained a collection of Touch Instrument and Drummer Apple Loops, and most notably import and playback of MIDI files, which could simplify projects for some musicians. MIDI is an industry-wide composition format with small filesizes, making it easy to carry over songs from one device or instrument to another. iOS 12 features better performance for older devices, ARKit 2, Screen Time, Siri shortcuts, and numerous other improvements. tvOS 12 brings Dolby Atmos sound, "zero sign-on" for some cable providers, and compatibility with third-party remotes, among other changes.